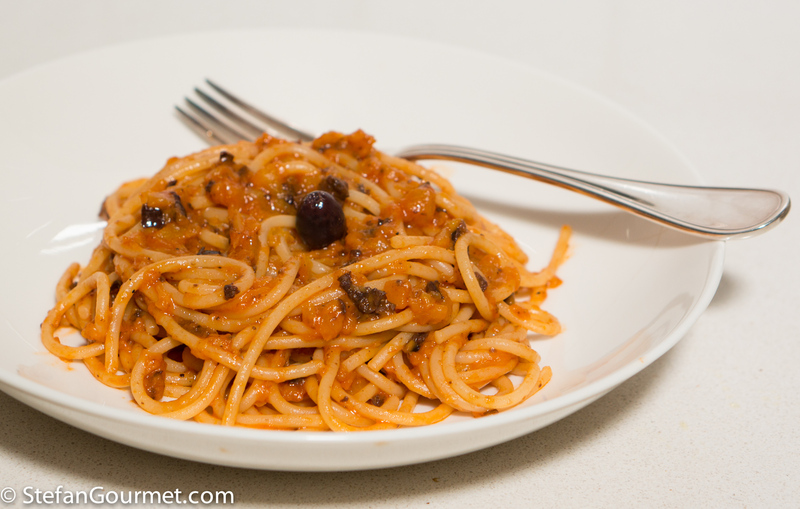 Long pasta such as spaghetti is eaten with a fork. 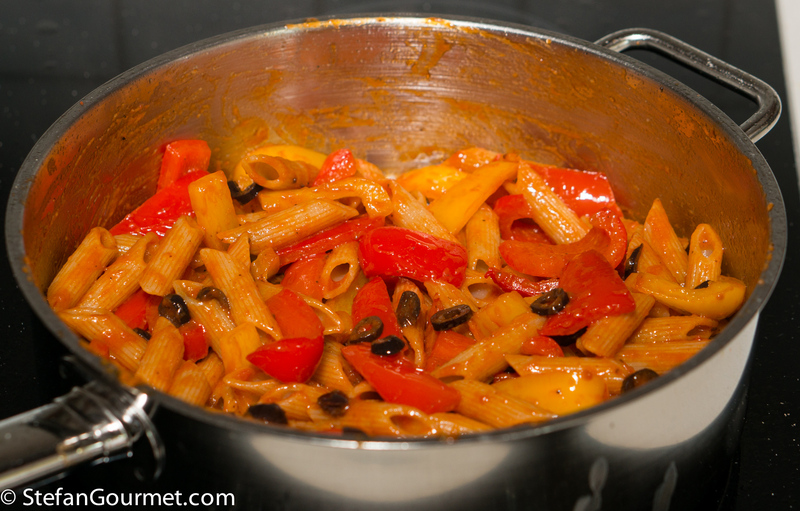 The sauce should cling to the pasta in such a way that by the time you finish the plate of pasta, all the sauce is gone too. Short pasta is eaten with a spoon, so this is less of an issue because each spoonful can contain both pasta and elements of the sauce. The mouthfeel of long pasta is more ‘flowing’ than that of short pasta, and the sauce should support that. Another way to state this rule, is that the texture of the pasta and the texture of the sauce should be similar. If you use short pasta, this means that the ingredients of the sauce should ideally be cut into the same size and ship as the pasta. Most successful pasta dishes follow this rule. One exception is spaghetti alle vongole, because you first use your fork to get a piece of clam meat and then wrap some spaghetti around your fork before bringing it to your mouth. Bring a pot of water to a boil. 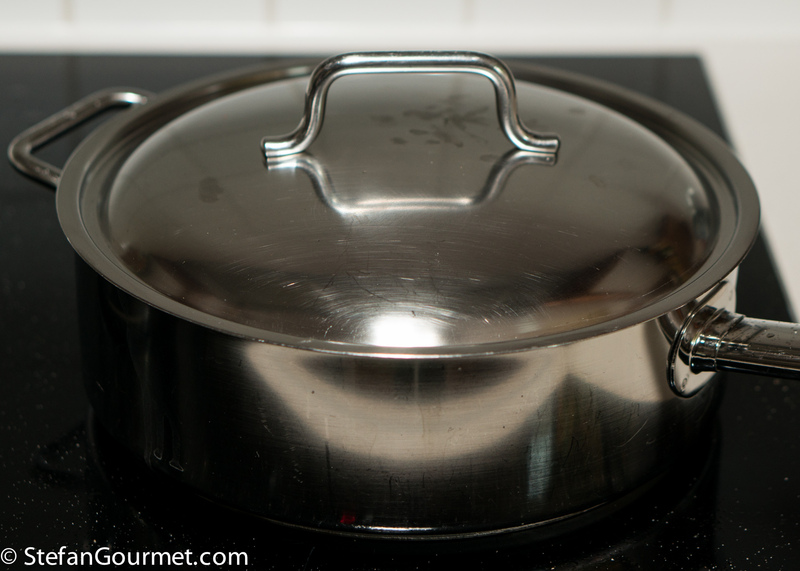 When the water boils, add salt and 150 grams of penne. Set the timer for the time indicated on the package for al dente. 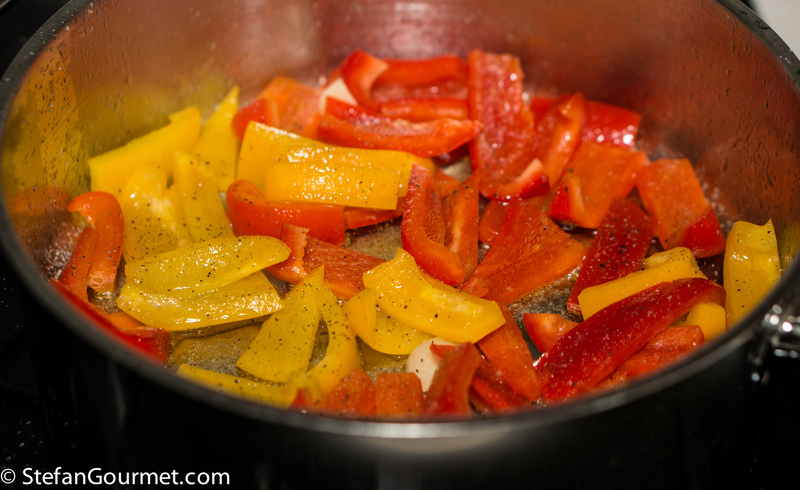 Clean two bell peppers and cut them into strips roughly the size of the penne. Heat two tablespoons of olive oil in a frying pan over medium heat. 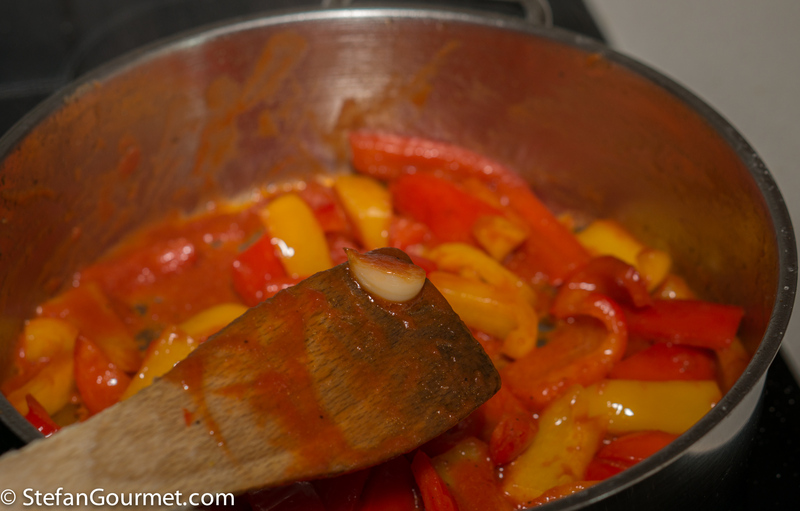 Add the peppers and a clove of garlic, peeled and sliced. 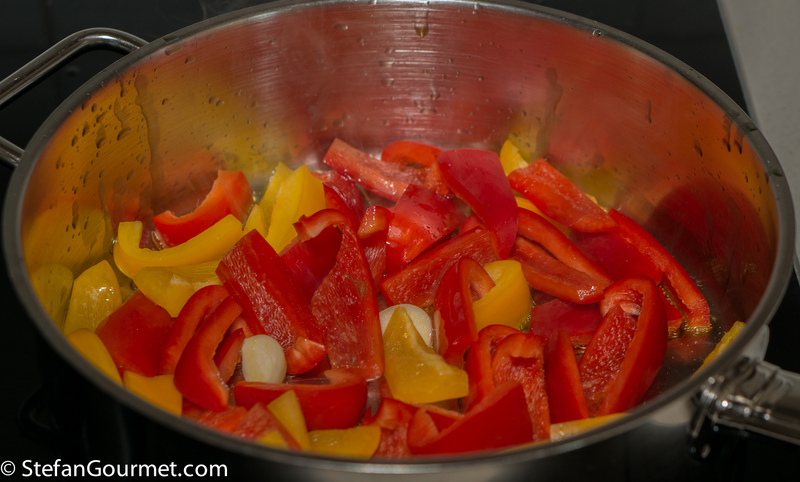 Cover and cook the peppers over medium high heat, stirring regularly, for about 10 minutes. 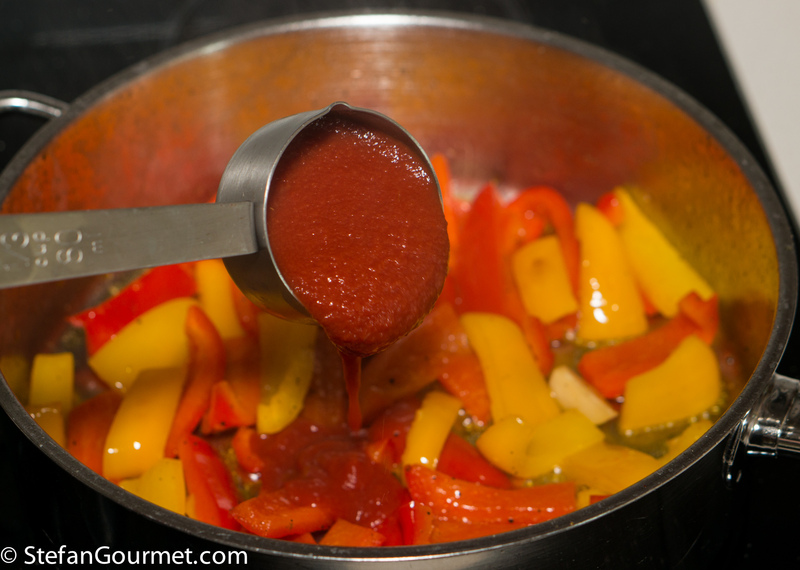 After those 10 minutes, add 90 grams of sieved tomatoes. Cook, uncovered, over medium heat until the sauce is no longer watery. Taste and adjust the seasoning with salt and freshly ground black pepper. 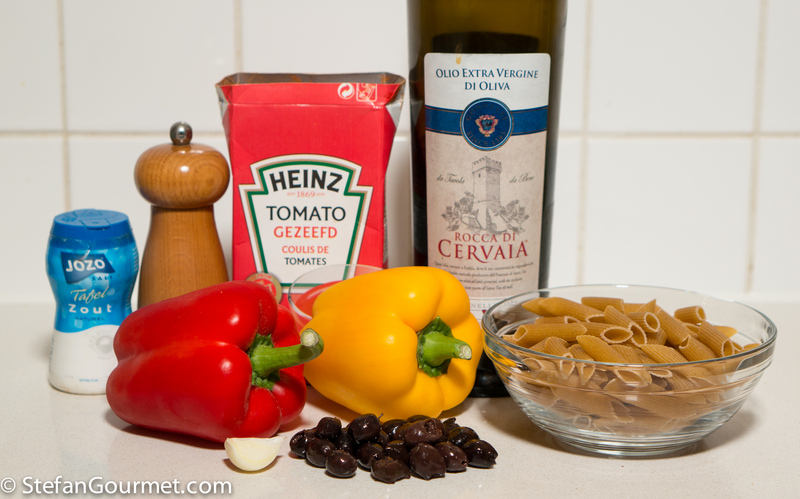 Add 25 grams of sliced black olives. When the timer beeps, drain the pasta and add to the sauce. Serve at once on preheated plates. Parmigiano is not needed. 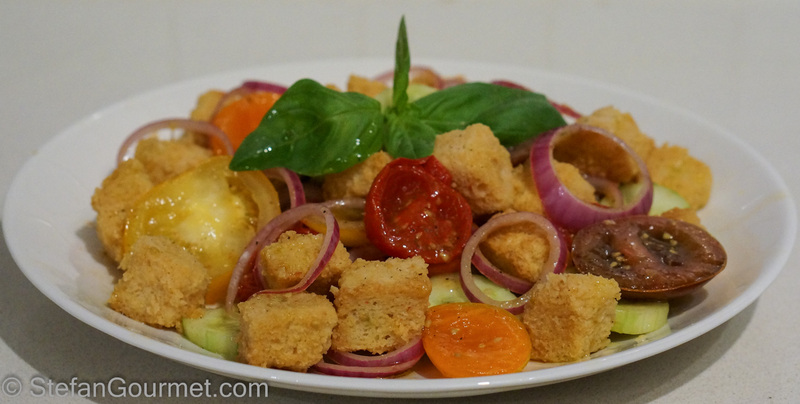 Panzanella is a simple but delicious Tuscan salad of tomatoes and stale bread. You should really make both dishes to experience the difference. Although I’ve been making pasta according to this guideline for ages, I was still amazed how different they were considering that the ingredients are exactly the same except for the pasta shape. 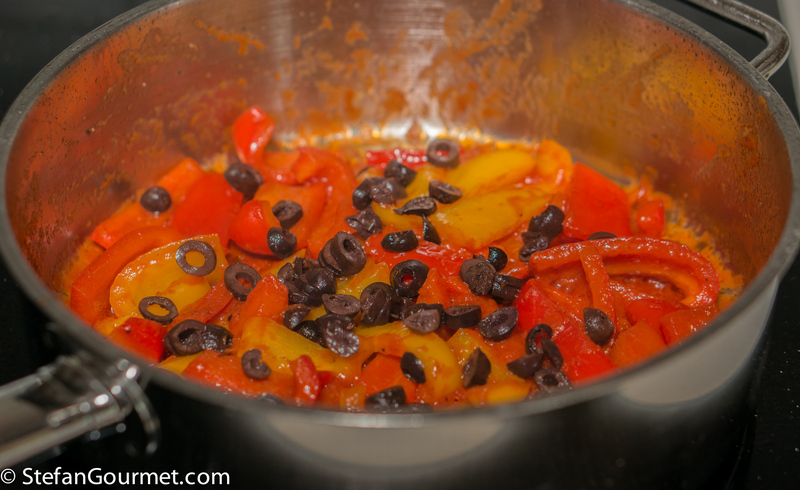 I’ve never heard of olives in peperonata, but it sounds nice! Love the lesson! Do not use nearly enough of the short versions and shall pay attention 🙂 ! Would the addition of some baby capers be unacceptable in your eyes . . . ? Certainly not unacceptable, although the art of Italian cooking is all about how good a dish can be with as few ingredients as possible. It’s interesting to read the difference in “most common pasta” over there as opposed to the U.S. Tagliatelle and orecchiette is not very common here, the others are. But the real common ones here are elbow macaroni and rotini. (mac and cheese and cold pasta salad). Perhaps I should have written most common on my blog, because orecchiette are only common in Puglia 😉 I never use the elbow macaroni you have in the US and we have in the Netherlands because it isn’t very Italian. 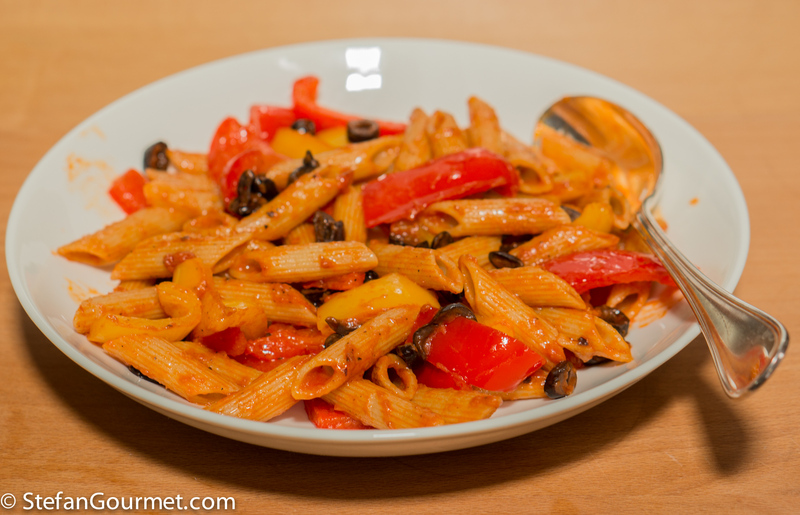 In fact, many Italians refer to penne or rigatoni as “maccheroni”. Yes, I figured elbow macaroni was very American, lol! Kraft must make a mint on that blue and yellow box from all the families with kids here buying it in bulk! 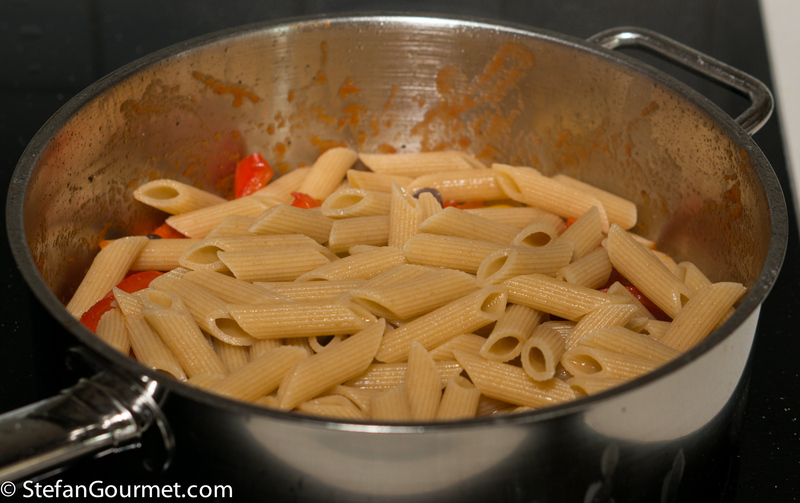 A lot of Italian maccheroni is elbow shaped, but larger and with ridges to hold the sauce. Anther important difference is that American macaroni is probably usually overcooked. I only know Kraft cheese and that is horrible and not worthy of the name “cheese”. I totally agree Stefan, but I tell you, my daughter loves Kraft Mac and Cheese and she’s a teenager now. And yes, Americans tend to overcook their pasta. I shy away from any pre-packaged meals, but when you have a picky toddler, it’s Kraft to the rescue! Not sure why they like it so much at that age. Great way to demonstrate appropriate sauces for different pasta shapes. I wonder if you know about the wonderfully illustrated book, The Geometry of Pasta? Great book – and this is a great post. Great post. How would you suggest I prepare croxetti? I bought some after seeing them at Eataly and they’re so beautiful. Haven’t looked in to recipes yet, but I’m thinking just a very simple sauce so as not to hide the beautiful stamped designs. Maybe even just oil and garlic?